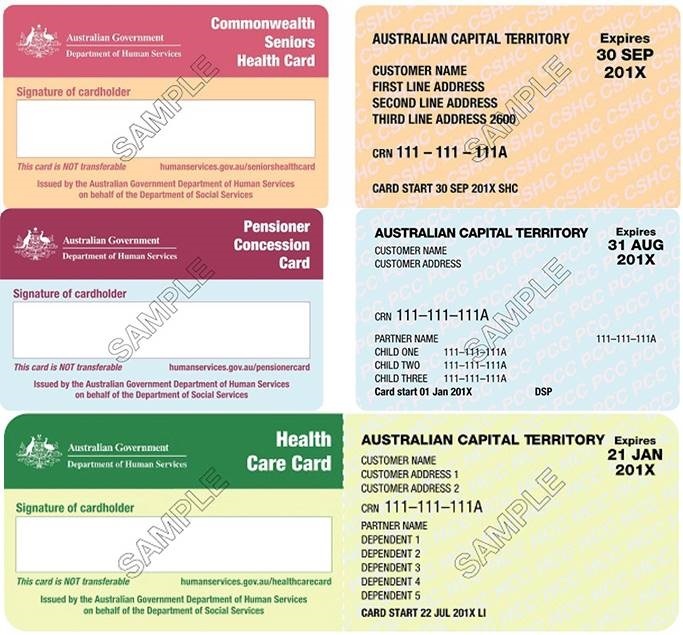 Patients with a valid Medicare card will be bulk billed for their booked consultation between Monday – Friday only. Walk-ins and appointments booked on weekends & public holidays are privately billed. Our practice is primarily by appointments. We do accept walk-ins, but these consults will incur a standard fee (Note: discounted fee is not applicable). For booked appointments on Weekends and Public Holidays, patients are eligible for a Discounted Private Fee if they are under 16 years of age or have a valid NSW Government concession card (see image below for applicable cards). We have EFTPOS and Medicare Easyclaim available for on the spot Medicare rebates. 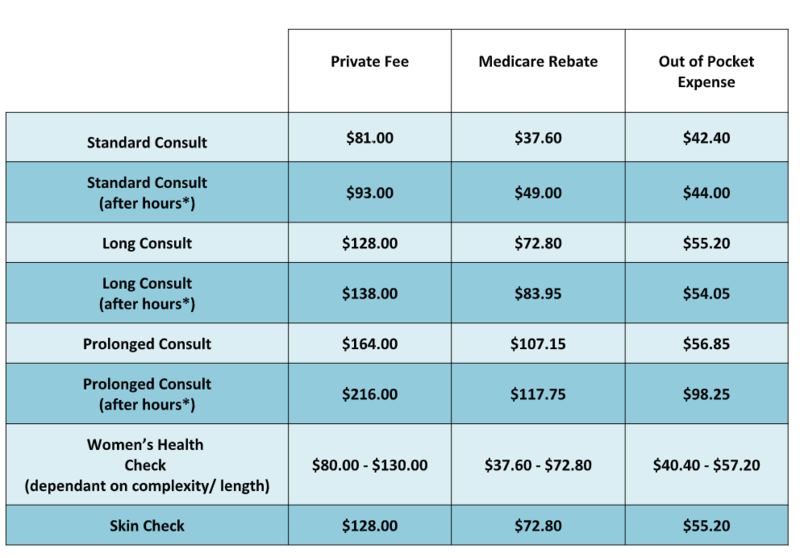 For patients without Medicare, your consult will be privately charged depending on duration and complexity of the consultation. Appointments on Weekends and Public Holidays are Privately Billed. A Discounted Private fee is applicable to children under 16 years of age, pension and concession card holders for booked appointments only on Weekends and Public Holidays. Please note that the discounted fee is not applicable to walk-ins on weekends or public holidays. The table below shows our current prices. An after hours consult is any appointment after 1pm on Saturdays, all day Sundays and all day Public Holidays. A complete fee list is available at reception. Please note that a Non-Attendance Fee of $20 is payable if a patient does not attend their appointment or if the appointment is cancelled with less than one hours notice. For all vaccination and procedural costs please ask one of our friendly receptionists. Your doctor will explain any additional costs to you and obtain your consent prior to receiving treatment. Any consultations requiring additional services may be charged a procedural equipment fee of between $10 – $100. Pre-employment medical assessments and other medical assessments are also privately billed. The cost will depend on the length and complexity of the medical assessment. Reception are able to give a price guide but cost will be determined by the doctor at time of consult. Private Billing applies to all Women’s Health Checks (Pap Smears). There will be an out of pocket fee of between $10-$80.